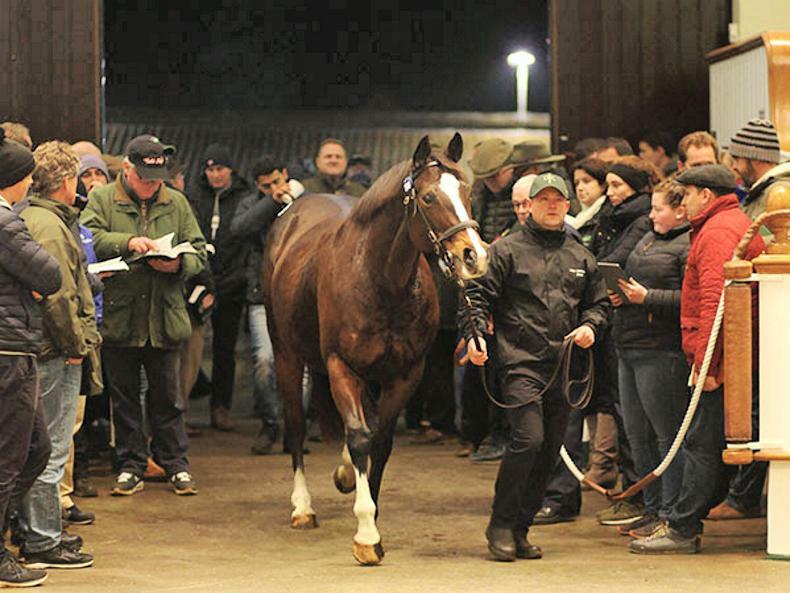 THE Tattersalls December Mare Sale exploded into life on Tuesday evening with seven fillies and mares realising 1,000,000 guineas or more and a further 14 selling for 500,000 guineas or more. The turnover on the second day reached 42,534,600 guineas at an average of 218,126 guineas and a median of 110,000 guineas. The headline act was Pearling, sold in foal to Galileo for 2,400,000 guineas to the bid of Tony Nerses of Blue Diamond Stud. Underbidders included David Hanley of WinStar Farm and ultimately, Australian-based agent Dean Hawthorne. 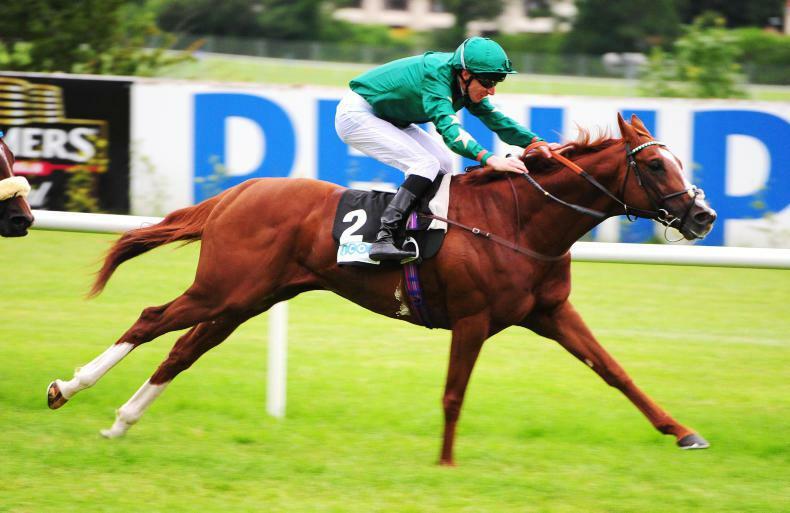 Offered by New England Stud, the regally-bred mare is an own sister to champion sire and racehorse Giant's Causeway and she is the dam of three-time Group 1 winner Decorated Knight, who is at stud in Ireland. Imad Al Sagar, who was the successful purchaser and previous part-owner of the mare with Saleh Al Homaizi, said: "She is very special to us and has an exceptional pedigree. I could not let her go. "Saleh has some serious business commitments coming up and has needed to reduce his interests, but he is a very good friend. We have had some great times with the horses together but things change. 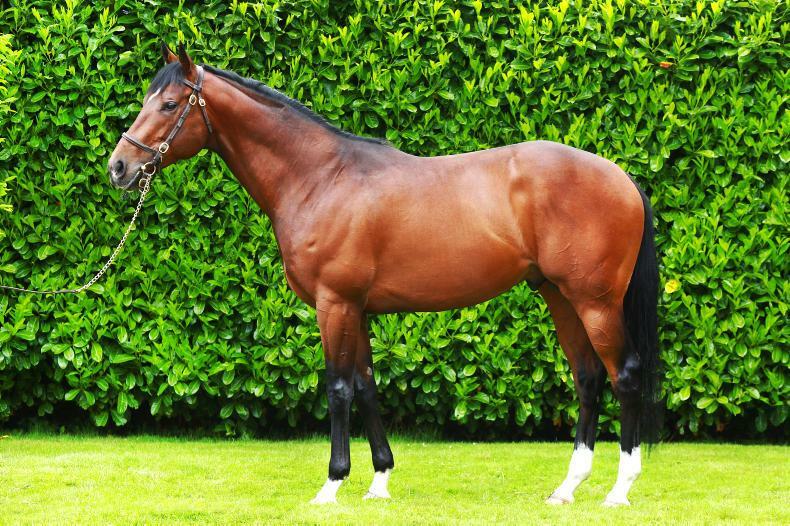 "I am delighted to be able to take this mare home – and she is carrying a filly by Galileo." The other lot to top the two million guineas mark was the stakes-winning Galileo mare Bound who was knocked down to Lordship Stud’s Ben Harris for 2,200,000 guineas. 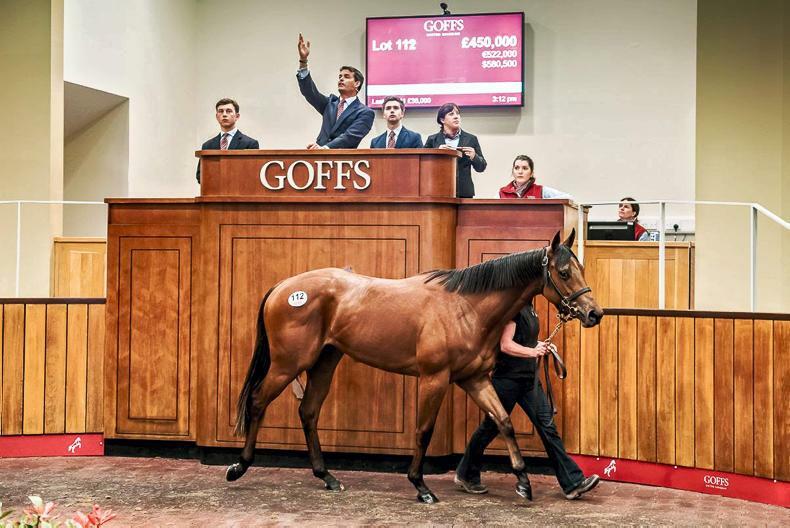 US agent Lincoln Collins had initially opened the bidding at 1,000,000 guineas before Henri Bozo, standing alongside Bertrand Le Metayer, took things along before the Lordship team standing with agent Luke Lillingston took control to secure the mare. She is in foal to Dark Angel. Following the sale, Trevor Harris of Lordship said: "Luke helped us right from the start and bought La Sky for us who was the dam of Love Divine and Swiss Lake, the dam of Swiss Spirit. This the most expensive horse we have bought, and we'd would love to send her to Dubawi." Bound is an own-sister to the Group 1 Nassau Stakes second Wedding Vow and to Bye Bye Baby, a Group 3 winner who finished third in the Group 1 Investec Oaks in June. She hails from the family of Prix de l'Arc de Triomphe winner Dylan Thomas, and of 1,000 Guineas winner Homecoming Queen, and she was offered in foal to Dark Angel, consigned by John Troy. The group-winning Galileo mare Beautiful Morning was another to break seven figures when selling to agent Hugo Lascelles for 1,400,000 guineas. Victorious in the Group 3 Royal Whip at the Curragh, she is out of the listed-placed Date With Destiny, the only offspring of ill-fated 2000 Guineas winner George Washington. The mare was trained by Jessica Harrington, and raced for Jon Kelly and James Wiltz. She was consigned to the sale by Newsells Park Stud. 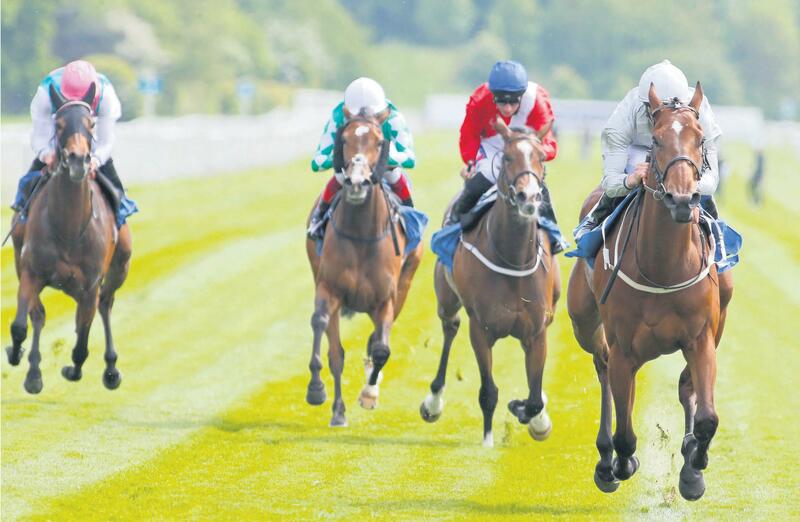 "Beautiful Morning will be staying in the UK and we'd hope she'll be able to go to Dubawi," said Lascelles. "She is for a different client than this morning's purchase of Lot 1805." Heartache, who won the Group 2 Queen Mary Stakes and Group 2 Flying Childers Stakes, was secured by Coolmore Stud’s MV Magnier for 1,300,000 Guineas. The daughter of the stakes winner Place In My Heart was consigned by her owners Whitsbury Manor Stud, and Ed Harper commented: "The family goes back to Hollow Heart, who was bought by Dad in the 1970s – this is a testament to his skill. "We have changed our minds about 10 times as to whether to sell or keep her, but, at the end of the day, a stallion can cover 100 mares and a mare can only be covered once and we run a commercial operation. 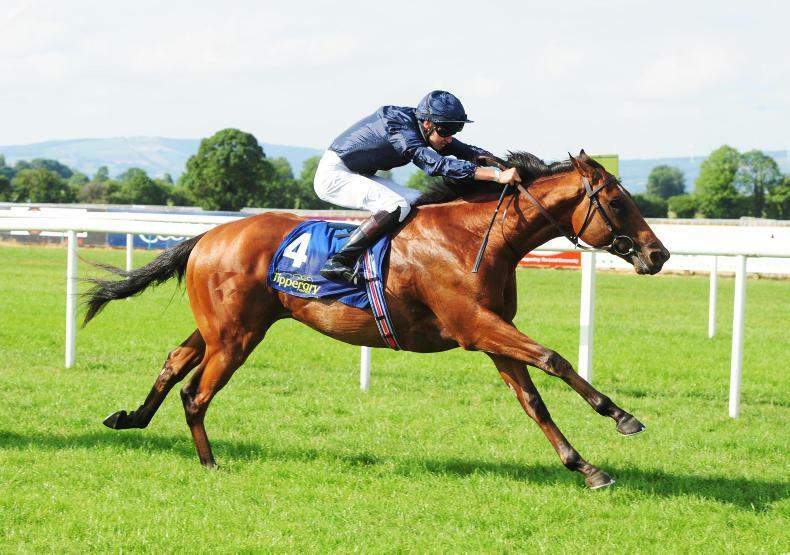 Purchaser MV Magnier said: "She is a very fast filly, very good-looking and she'll be one for Galileo. She will not race on. She comes from a great nursery and farm." Shortly after David Hanley of WinStar Farm had missed out on buying Pearling, he struck successfully on her daughter Ambrosia with a bid of 1.3 million guineas. The Highclere Stud-consigned daughter of Frankel is a half-sister to three-time Group 1 winner Decorated Knight, from the family of multiple Group 1 winners Gleneagles and Happily, and was offered in foal to Siyouni. Hanley said: "We went a long way into the bidding on her dam but did not get her. We said if we missed on her, we would try for her daughter. "It is the most exceptional pedigree and most amazing family that works on both sides of the Atlantic - you could get a dirt horse or a turf horse. We are thrilled that we have secured her. The six-year-old daughter of Mastercraftsman, out of the Efisio mare Ravish, was consigned to the sale by European Sales Management on behalf of owner Martin Schwartz. Phoenix Thoroughbreds had to withstand a determined effort by Yulong Investments to secure the four-year-old mare Pocketfullofdreams for 1,000,000 guineas. The listed-placed daughter of Invincible Spirit, who was offered with a covering by Galileo, was consigned by Baroda & Colbinstown Studs. She is a half-sister to Group 2 Prix de Royallieu winner The Juliet Rose. The Tattersalls December Mare Sale continues at 9.30am on Wednesday, December 5th.